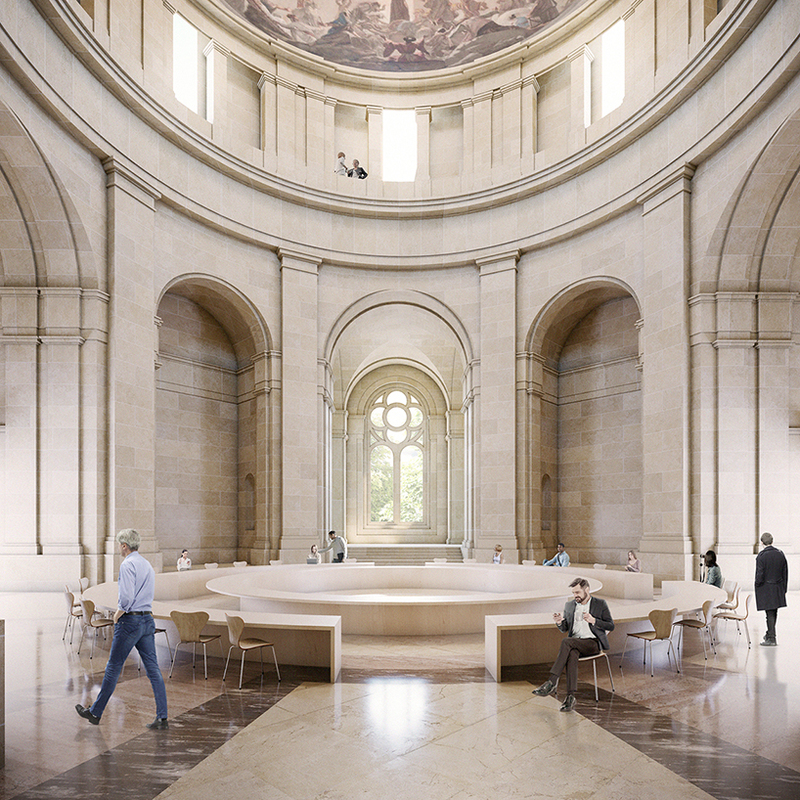 the proposal for the refurbishment of the former monument to the fallen in pamplona, spain, into new city hall building is triggered by the firm conviction that the complex on plaza de la libertad should not be demolished. our cities are active witnesses of the different stages of our rich history, and as such, they should be understood as a superposition of diverse layers representing the imprint of all different regimes, milestones and events in our society. consequently, we should not aim to erase the historic layers that don’t match our most present values, but to accept them, learn from them, and assimilate them in the most productive manner in order to serve today’s society as a whole. 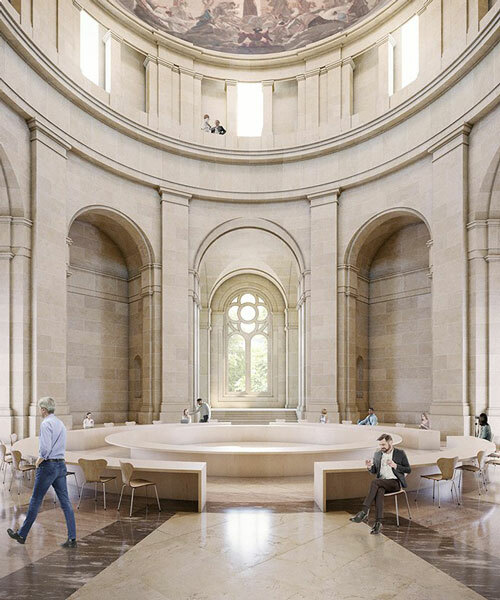 this poses the intellectual challenge of how to re-appropriate a monument built during a totalitarian fascist regime, in order to serve the entire collection of a new, united and democratic pamplona. 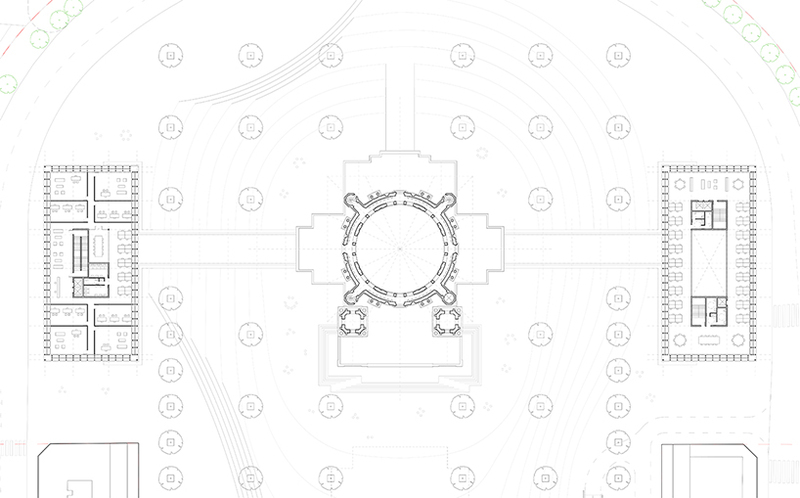 how should we lay a new historic layer to the palimpsest of plaza de la libertad? 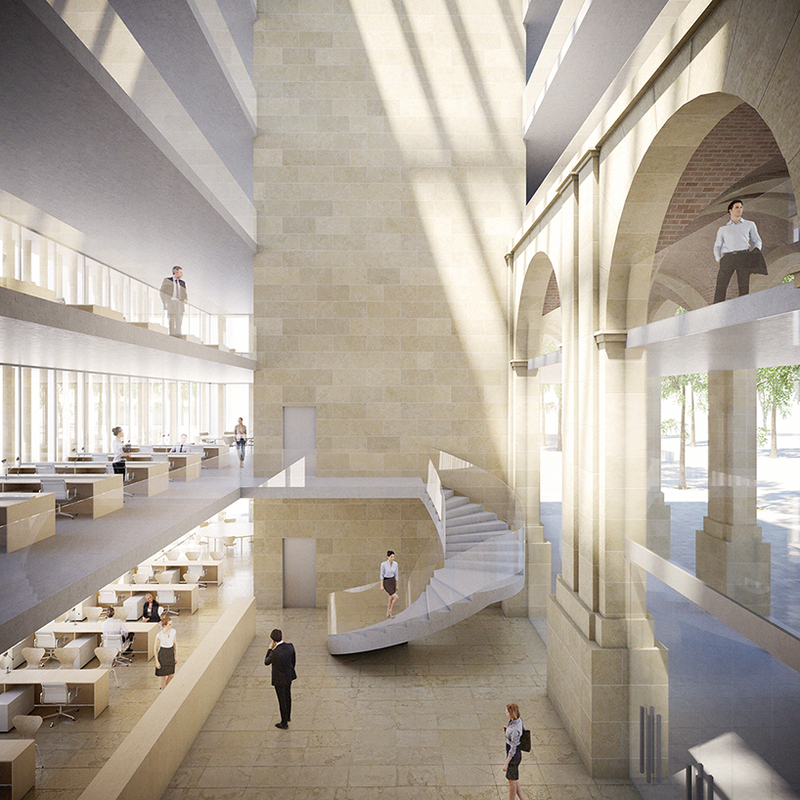 in response to this dilemma, práctica proposes the use of the monumental building to house a new seat for pamplona city hall. 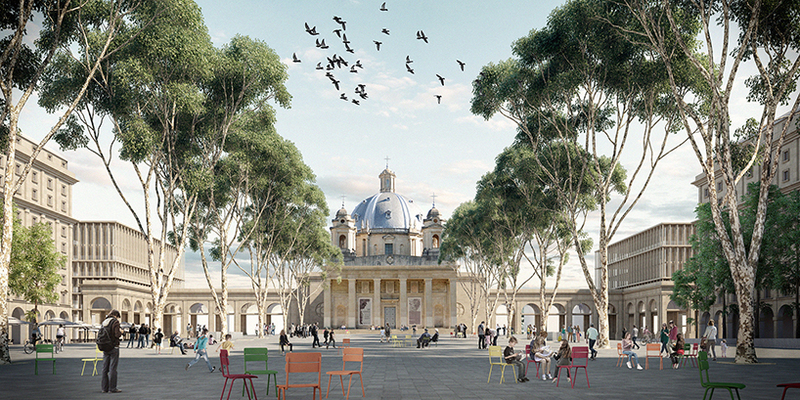 the project takes advantage of the site’s ideal location between the areas of segundo ensanche and lezkairu in order to generate a new pole of civic activity in the geographic center of the expanding city. architectural barriers are eliminated, and a new square is proposed to host all kinds of public initiatives, such as demonstrations, markets, fairs or concerts. 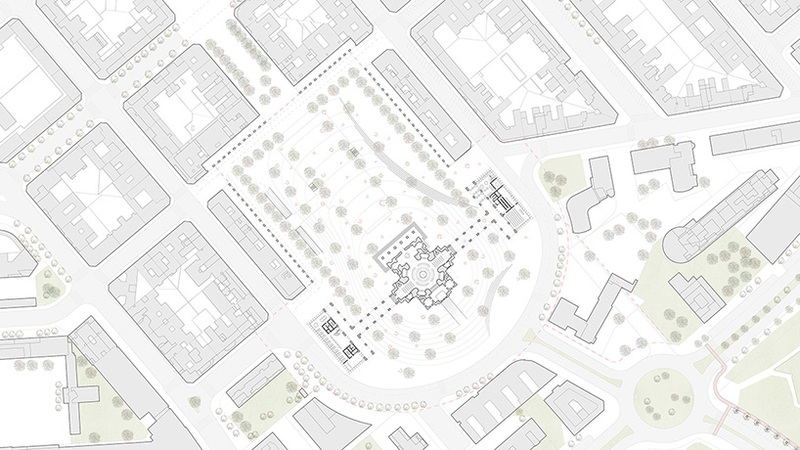 this allows for an inclusive and participative way of understanding pamplona’s public realm.